Three people in Parkville, Baltimore, were approached at gunpoint at a location directed to them by the Pokemon Go app, according to Baltimore County Police. The game, which directs users to various landmarks to capture Pokemon, led three players to an area near the entrance of Belmont park at midnight on July 7th. As the players arrived, they were approached by two people, one of whom carried a handgun. The suspects then looted the victim’s cell phones and money before they fled the scene. No injuries were sustained in the incident. It is currently unclear whether the victims were targeted because they were playing Pokemon Go. “They could have just crossed paths with someone who took the opportunity to rob them,” Cpl. John Wachter, a county police spokesman, told the Baltimore Sun. Nevertheless, Baltimore County Police are providing safety tips to players of the game, which include going to game locations with friends, staying in well-lit areas at night, and not playing while driving. The app, which was officially released July 7th, has already risen to No.1, above the likes of Facebook and Instagram on the Google Play store. Though immensely popular, the safety risks that the game poses have seemingly become apparent. 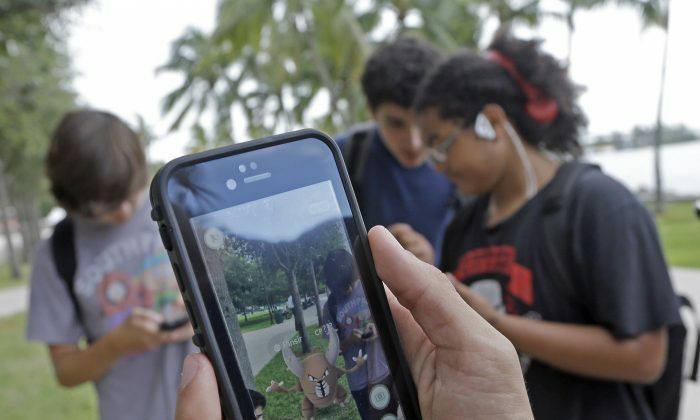 On Saturday, Pokemon Go players were targeted in an armed robbery in Missouri in which the victims may have been lured through the app. Paul Tassi, Forbes contributor on video games, technology, and the internet, also says that the game is very distracting and can lead to accidents when out in public. The Parkville incident is being investigated by the Parkville Precinct Investigative Services Team; the suspects’ descriptions have yet to be given.